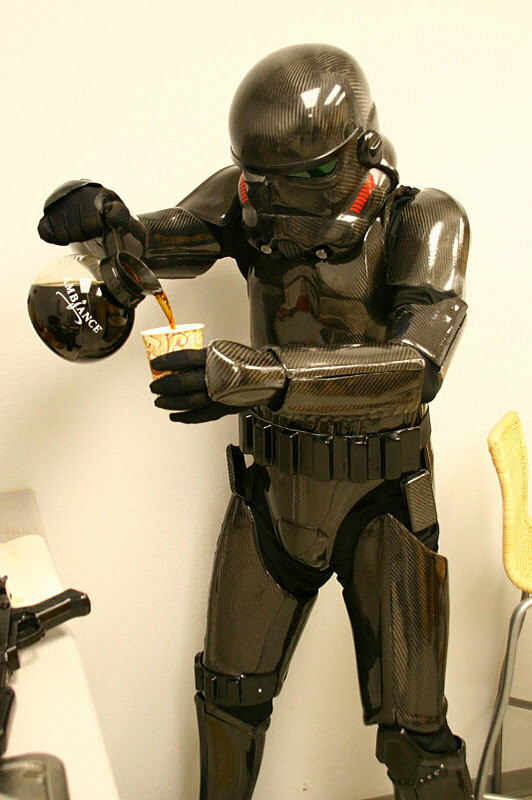 How does Lord Vader take his coffee again? 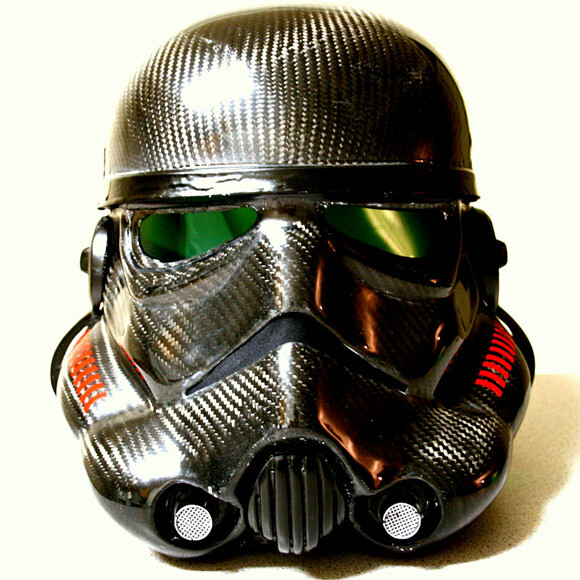 Check out this swanky and rather impressive Stormtrooper carbon fibre replica armour. 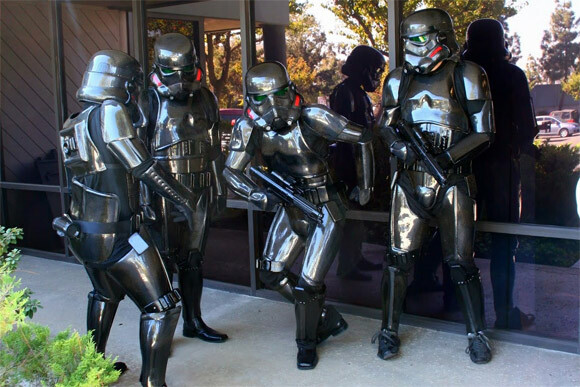 Created by Lenoard Carson and his fellow nerds at San Diego Composites, they used their company’s equipment and even some resources, with the blessing of the company President, to make their glorified cosplay. Even my jaded, cynical heart can’t help but be impressed, and also wonder why the Galactic Empire didn’t make all their Stormies wear black? Its very slimming. Anyways, hats helmets off to ’em. Looks like they’re set for ComicCon for life! What’s that? You want your own? Well, good luck, though the gang wouldn’t disclose how much the armour actually cost them, it was thought to be close enough to buy a decent new car. And we all know you lot are a bunch of virtual serfs, don’t even try to deny it. 28 Nov	This entry was written by badbabbler and published on November 28, 2011 at 4:47 PM. It’s filed under Awesome, Gear, Tech and tagged awesome, carbon fibre, little short for a stormtrooper?, more money than sense, star wars, stormtrooper, these aren't the droids you're looking for. Bookmark the permalink. Follow any comments here with the RSS feed for this post.